The Mission to Seafarers is a Christian welfare charity set up in ports around the globe. In Hamilton it offers transportation for sailors, a place to talk with family and holiday packages. With his beat up blue van, hardhat and fluorescent yellow, high-visibility coat, Dan Phannenhour doesn't look the way Santa Claus is supposed to. But every year, the chaplain at the Mission to Seafarers at the Hamilton Port quietly helps deliver hundreds of presents to people from around the world. On a recent December evening with snow softly falling, Pastor Dan carefully picked his way up the gangplank of the Federal Bering, a hulking ship in town to deliver a load of steel from Brazil, a big brown box jam-packed with gift bags carefully balanced on his shoulder. The smiles and shouts of greeting started before he even reached the deck. 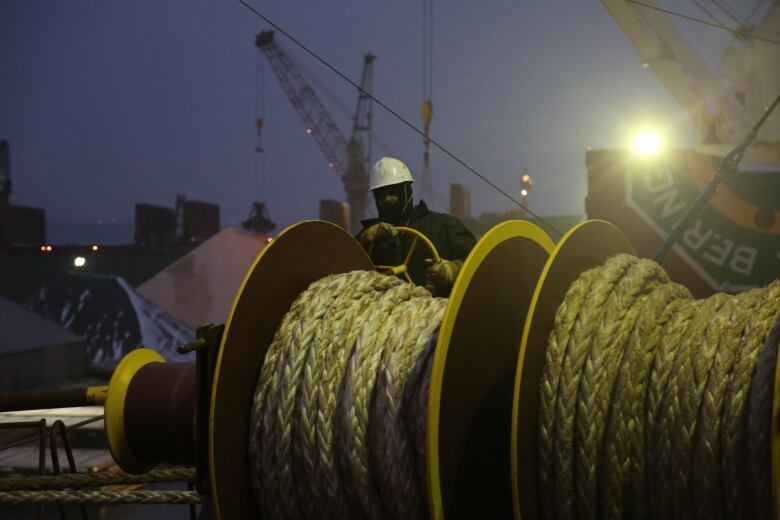 "The seafarers tend to be invisible. Ships come and go, a lot of people don't know what goes on here at the port in Hamilton. This is a way of reminding the wider community and also showing appreciation to the people who work," he explained. "It's a small gesture, but it's a ministry of small gestures and it shows they're not forgotten by the rest of the world." The Mission to Seafarers is a Christian welfare charity set up in ports around the globe. Chaplains, staff and volunteers have been serving merchant crews for well over 150 years. In Hamilton they offer transportation for anyone who wants to step ashore, along with a centre where they can shoot pool, play fooseball and pick up a snack or souvenir from the tuck shop. 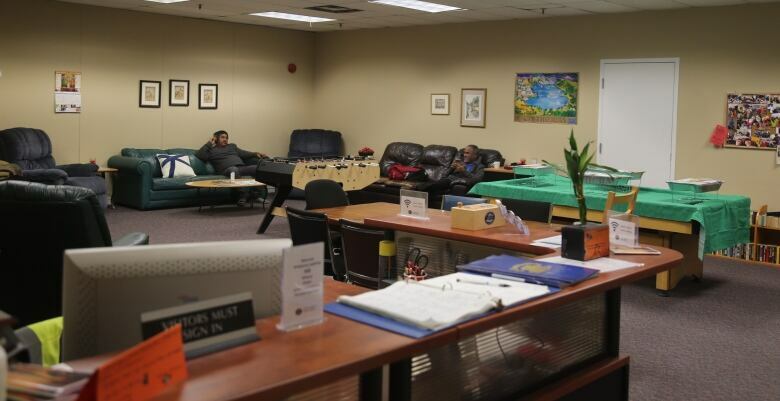 The building on Burlington Street East also offers two seemingly basic accommodations that are crucial for seafarers — free WiFi and comfy couches. "The main thing everybody wants is the free WiFi … so they can call home and be in touch with their friends and family. That's the most important thing," said Pastor Dan. As for the couches? Well, they offer a special sort of respite after difficult crossings. 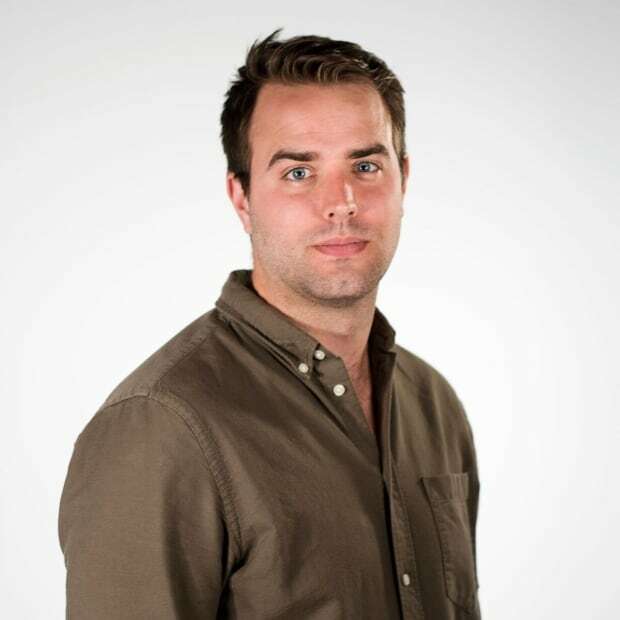 "On a ship all of the surfaces are hard, they're all bolted down. So this provides them a chance to sit on something soft and relax and be on dry land without the wave motion of the ship." The period between the beginning of October and the end of December is a hectic time in the port as steel producers stockpile supplies to last through the winter and farmers try to ship out their grain before the St. Lawrence Seaway freezes up. 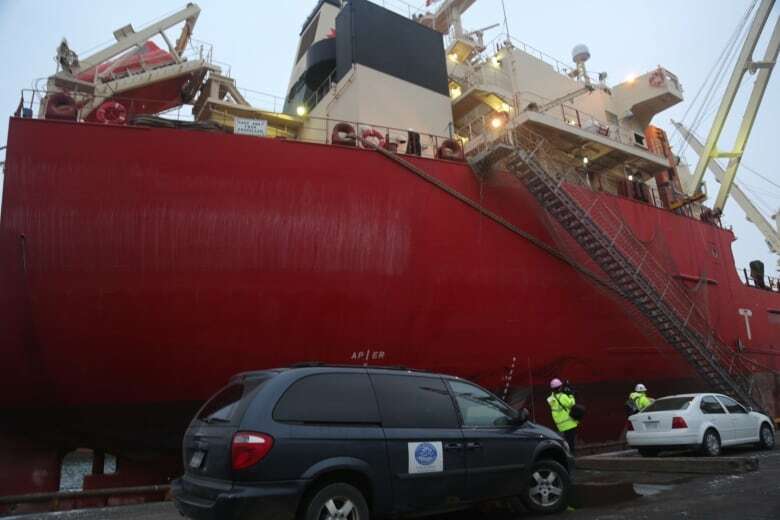 More than 10 million tonnes of cargo moved through Hamilton this year, said Larissa Fenn from the port authority, and it will remain busy even after the seaway closes as crews complete winter maintenance, repairs and upgrades to ships that overwinter here. Starting on Dec. 6, the day set aside for St. Nicholas — the patron saint of sailors and merchants — the missions perform a special ministry by preparing and distributing holiday bundles. Last year the team in Hamilton alone handed out 800 presents, according to Pastor Dan. They expect to hand out at least 400 this year. The parcels contain things like candy, toiletries and handy tools. 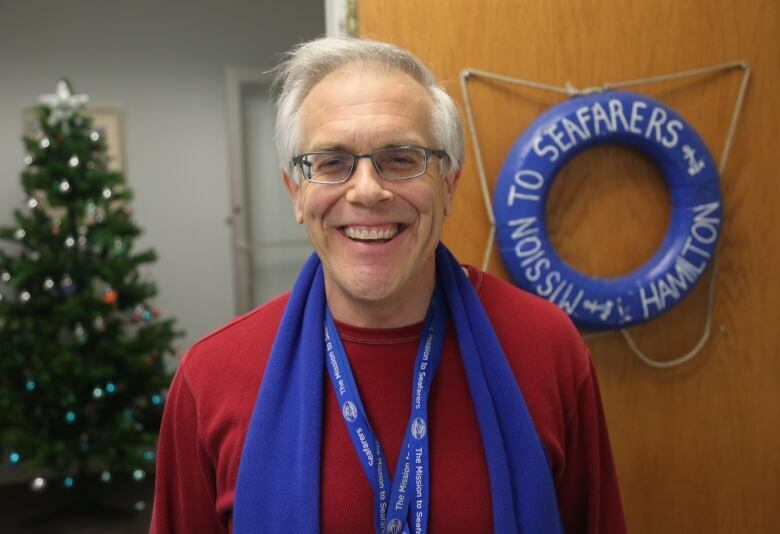 They also supply seafarers with warm scarves and hats, a necessity for those coming from warmer climates. "They really need that," said Pastor Dan. "You can't buy a parka in Mumbai, India"
Despite the fact the missions are a Christian organization operated by the Anglican church, they offer their gifts and services to people of all faiths and cultures. "They're always very grateful," said Pastor Dan. "I took some gifts to a Ukrainian crew and the one young officer said to me 'Wherever we go in the world, you're there for us and we really appreciate that.'" The crew on the Federal Bering included Muslims, Hindus, Sikhs and Christians from across India. They arrived in Hamilton on Dec. 7 and, after offloading their steel, filled back up with Ontario-grown corn destined for Europe. 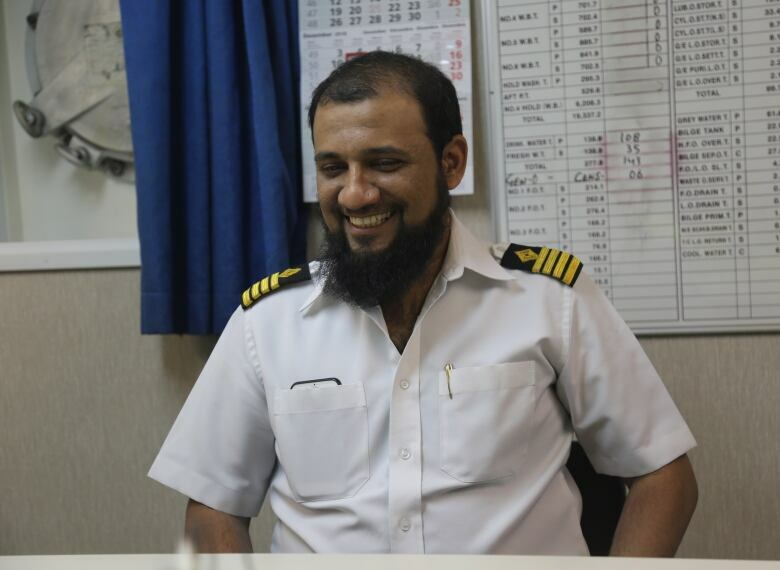 Sailing Master Shuaib Lambe said the men on the ship will be away from home anywhere from four to nine months at a time, depending on rank. He has two children and said being far from family is harder than weathering stormy seas. The internet helps a little by making it easier for loved ones stay in touch, but the holidays can be an especially tough time to be away. "I miss them, a lot." That makes the mission even more important. Lambe describes it as a "very good friend" whose annual gifts give crews something to look forward to. 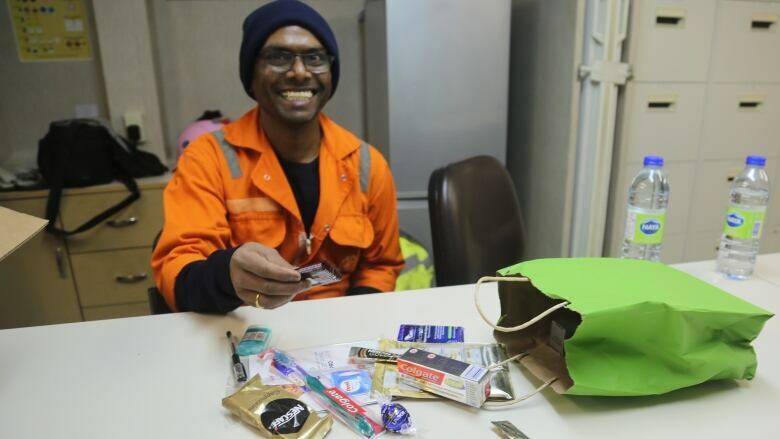 "It's a good gesture because though our families do remember us during this festive time they cannot send us a gift and a person who is onboard, he feels love because someone is getting a gift for him," he said. "It's like an emotional connection ... it's selfless love."